Finding the person you can't live without is a pretty incredible thing. Getting married to them among the towering redwoods and without all the distractions of every day life is a pretty beautiful thing. When Kate came to me literally moments after getting engaged asking me to photograph her wedding, I knew that this was a woman that knew what she wanted. We had been texting back and forth for months swapping ideas for venues and how to contain an ever growing chain of wedding events when all she truly wanted was to marry Darrell. 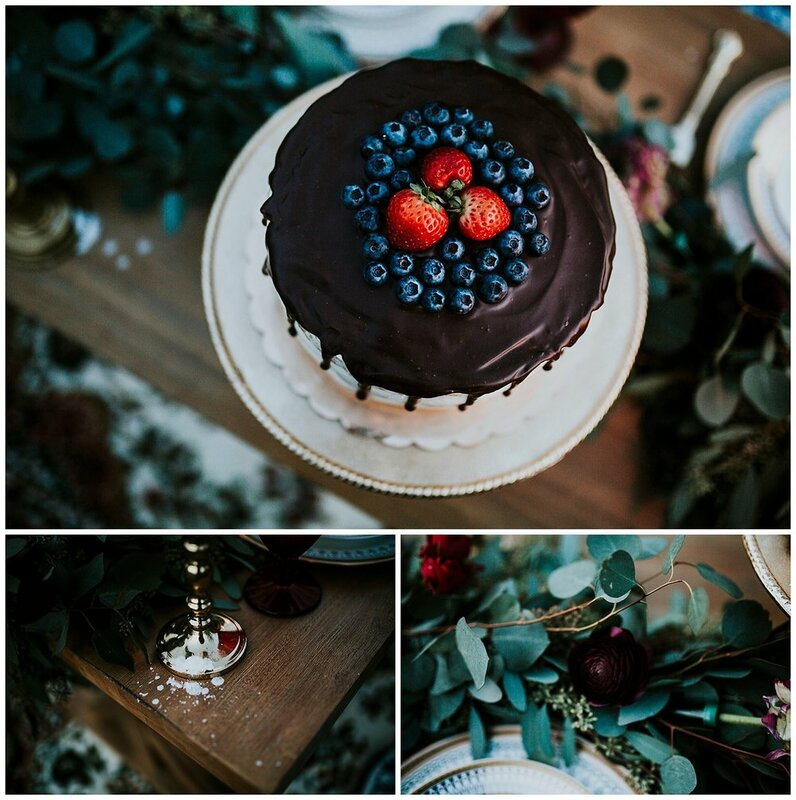 A wedding then turned into an intimate elopement when Kate realized her immense desire to focus on her and Darrell in a stunning atmosphere. 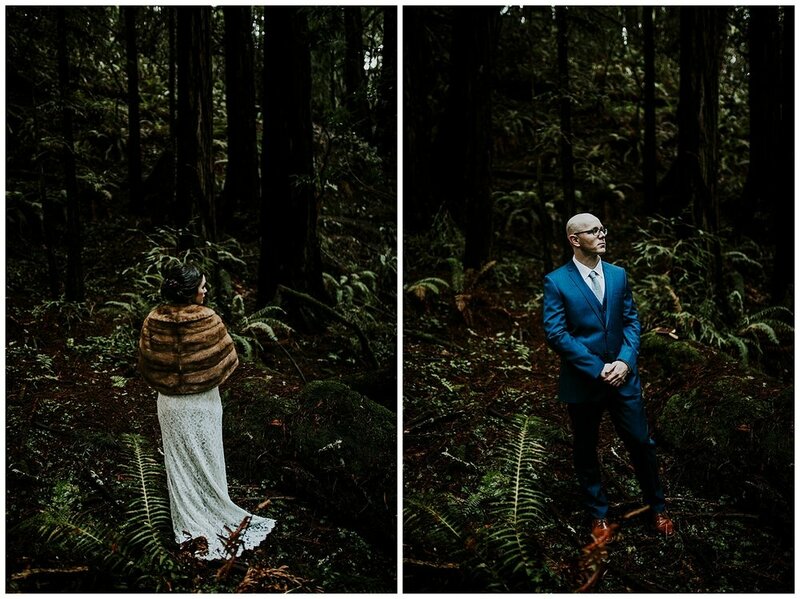 I've always admired elopements in the redwoods, the metaphor of ever growing roots and strong stems is hard to ignore when you are marrying yourself to the idea of a lifetime with your person. 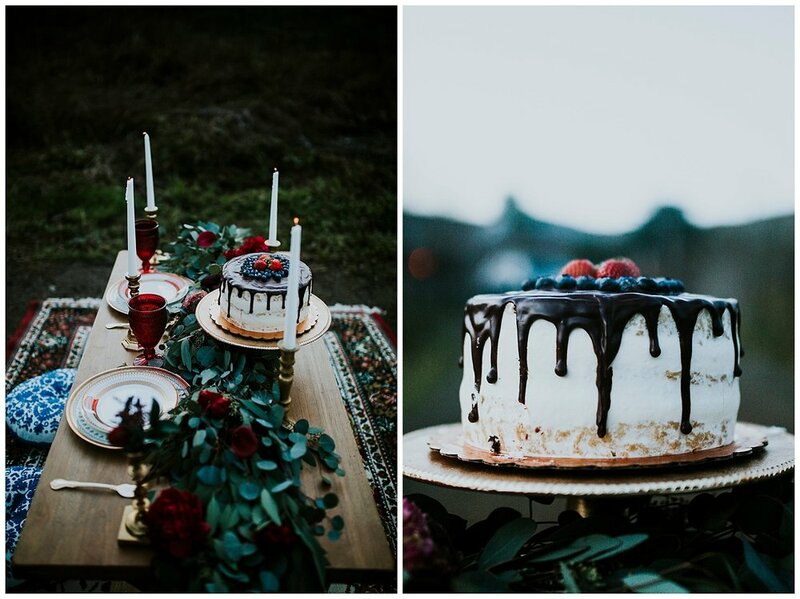 The day before seemed like there were plenty of signs that this elopement would not go as planned. The forecast called for 100% rain and the charming Inn that Kate and Darrell had reservations to stay at had lost their power due to the storms. Since this absolutely charming Inn had a charming way of doing things, they didn't have any reservations on file leaving Kate & Darrell to figure out where they will be sleeping that night - the night before their wedding day. 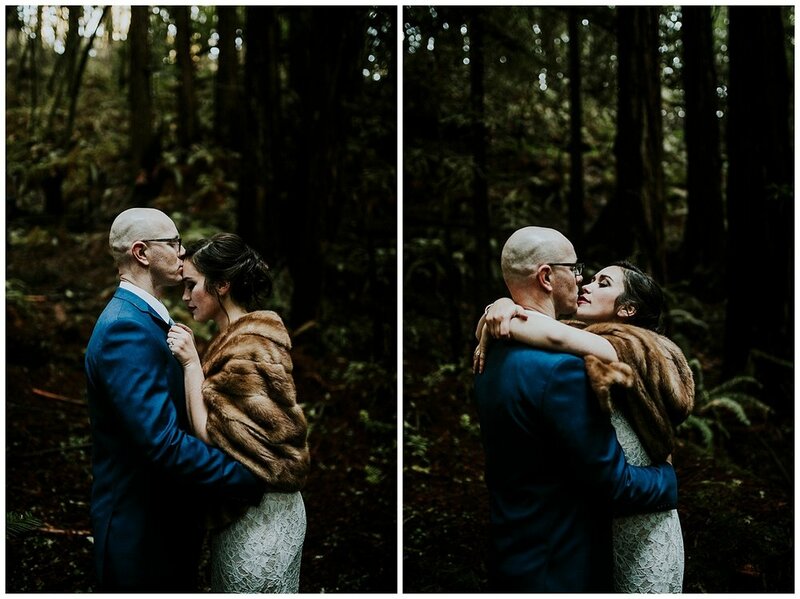 I spent that entire day with them roaming through Muir Woods to find the perfect spot to elope, I noticed how incredibly calm and collected Kate seemed despite the worries of tomorrow. I was inspired by her natural flow of whatever the next day shall bring she would come to embrace it. 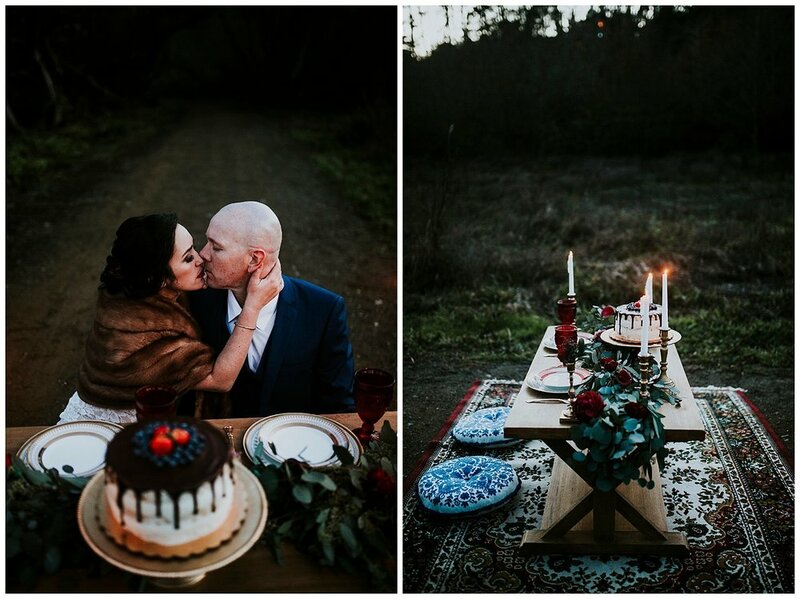 I left them that night unsure of where they were going to end up sleeping and if we were able to do the elopement in the woods due to the downpour. But tomorrow indeed is exactly that, tomorrow. I made my way to meet Kate & Darrell the next day and the sun had been peeking out all morning. We made our way to the perfect spot where we had chosen the day before. With the redwoods standing tall among them, I knew that they were made to marry each other in such a grand environment. The ceremony was simple and true to the couple's intrinsic nature. 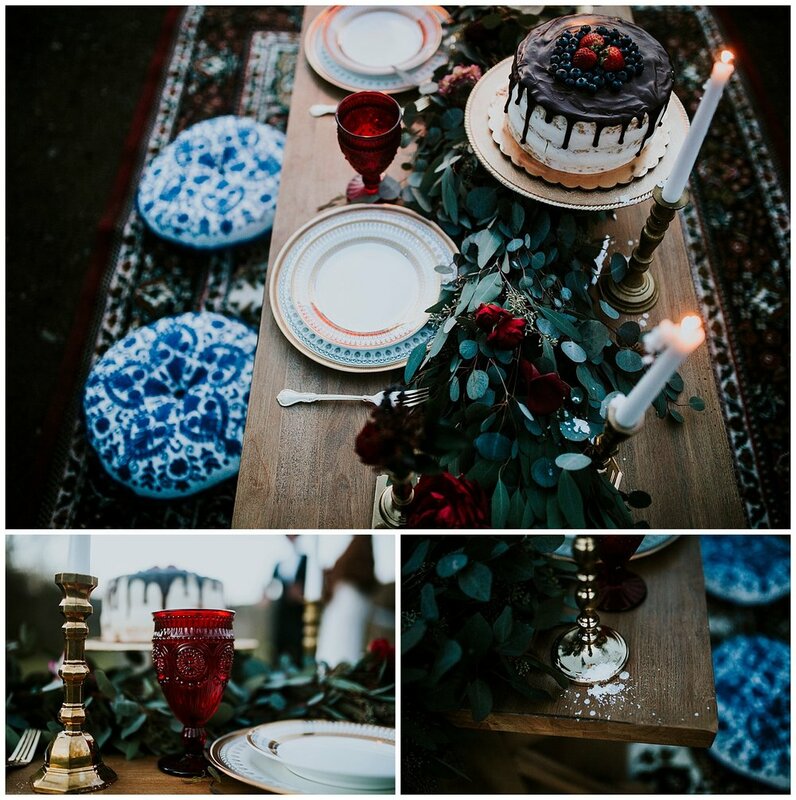 The reception was an intimate table built for two. The entire day was dare I say, perfect.